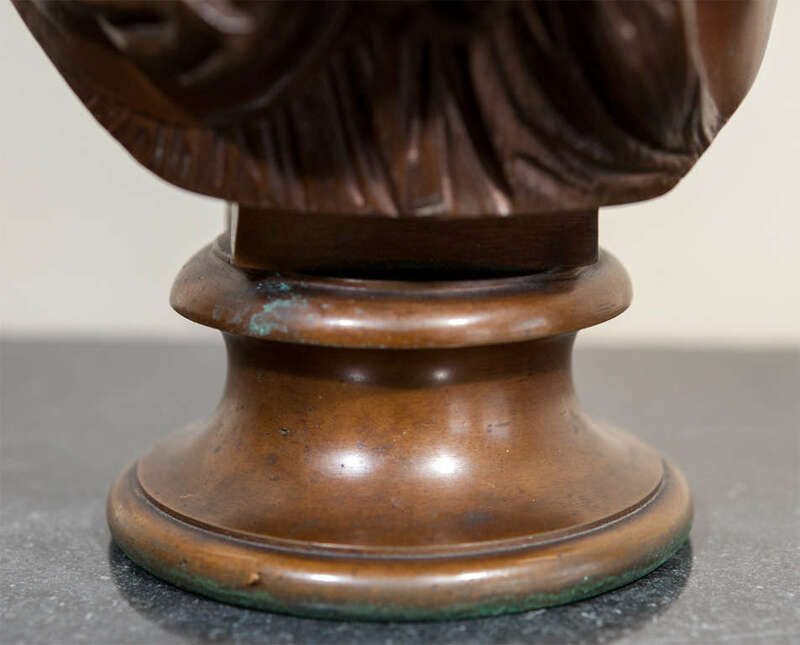 This Bronze Bust of a Lady, Signed. is no longer available. 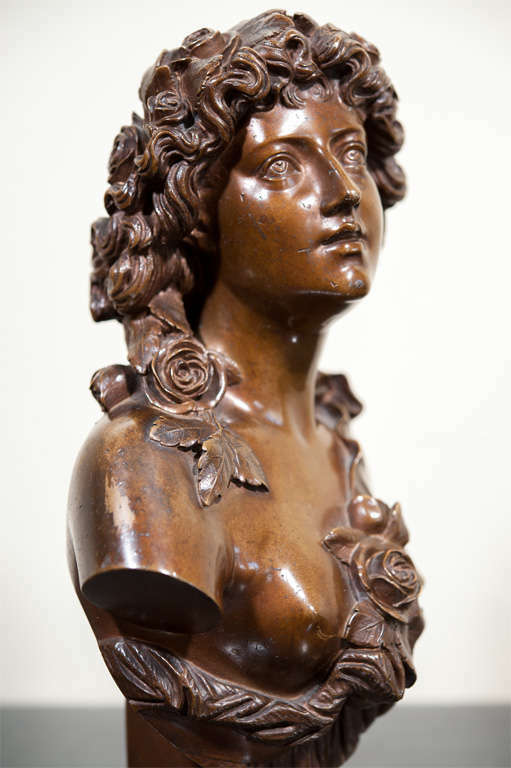 Bronze Bust of a Lady, Signed. 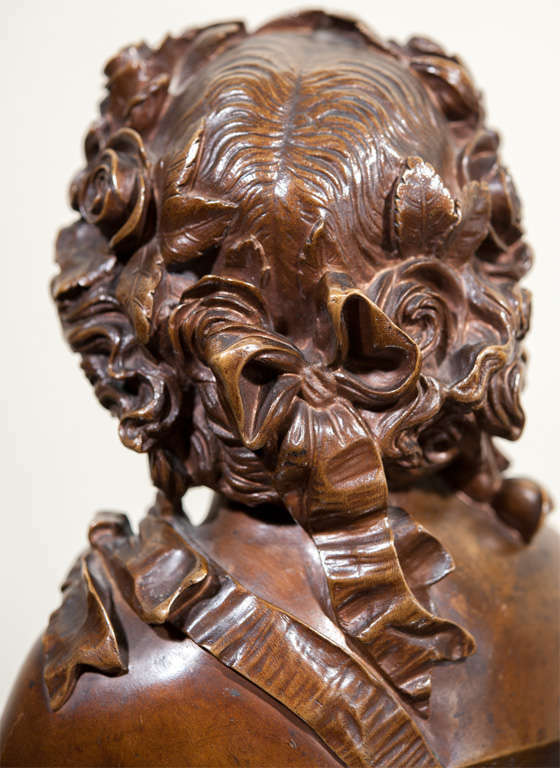 Original bronze bust by Jean Baptiste Clesinger, dit Auguste. Born n 1814 in Besancon and died in Paris in 1883. 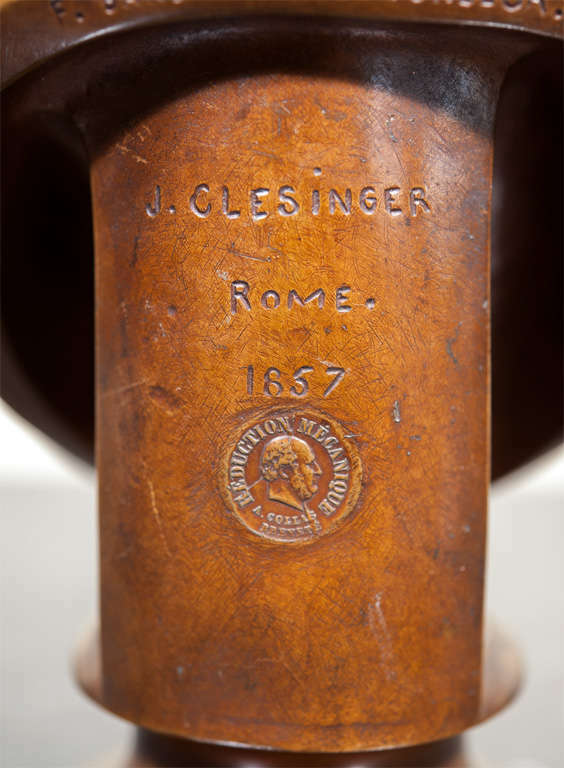 The bust is signed and dated 1857. His work is entered in the E. Benezit dictionnary. Some of his work is recorded to have been sold in the U.S.A. ranging from $4500.00 in 1884 to over $343,500 in 1996. 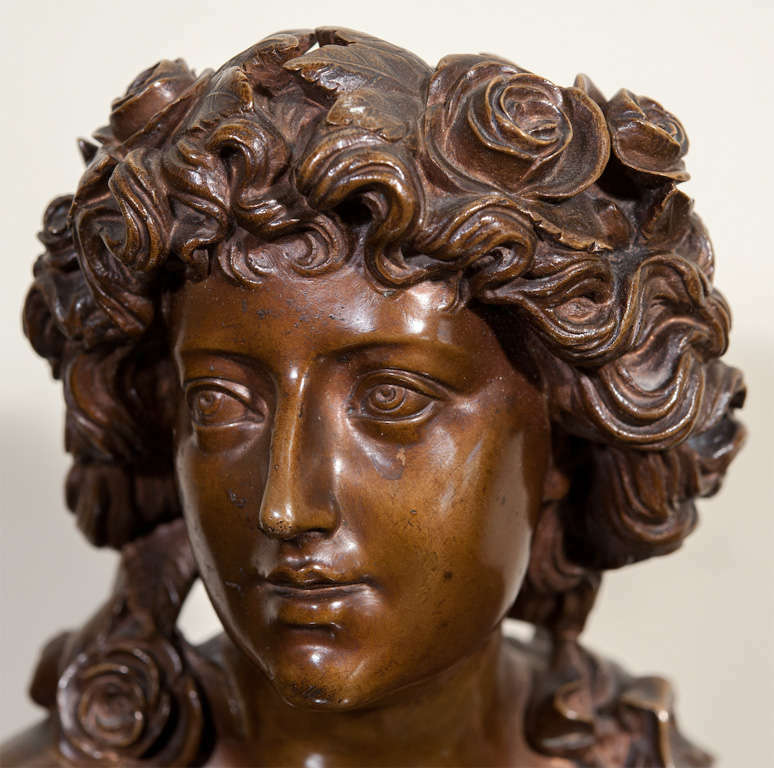 Lovely patina on this terra cotta bust of Diana by A. Houdon signature and seal from France. Unusual and attractive silver finished cherub sculptures. One holding a flute and holding a violin. The instruments are finished in gold. 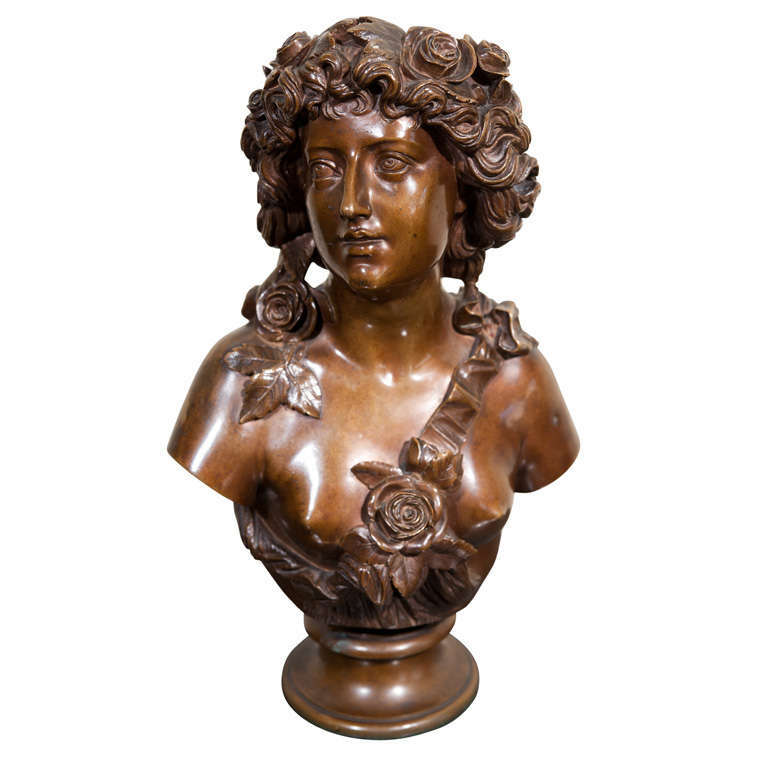 French Art Nouveau bronze bust of lady coming out of gilt floral design base (signed H. GODET, Med d'or). 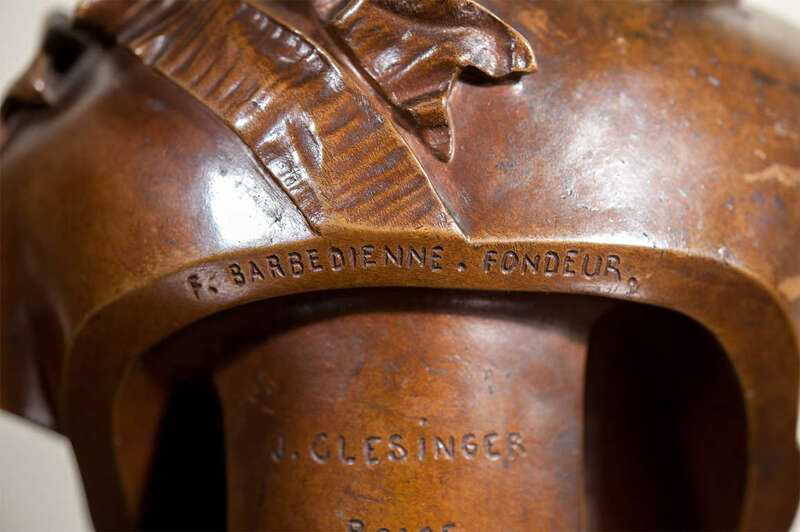 A very good quality late 19th century bronze bust of a classical lady wearing a hat. Label to reverse; Eug. Bagues. 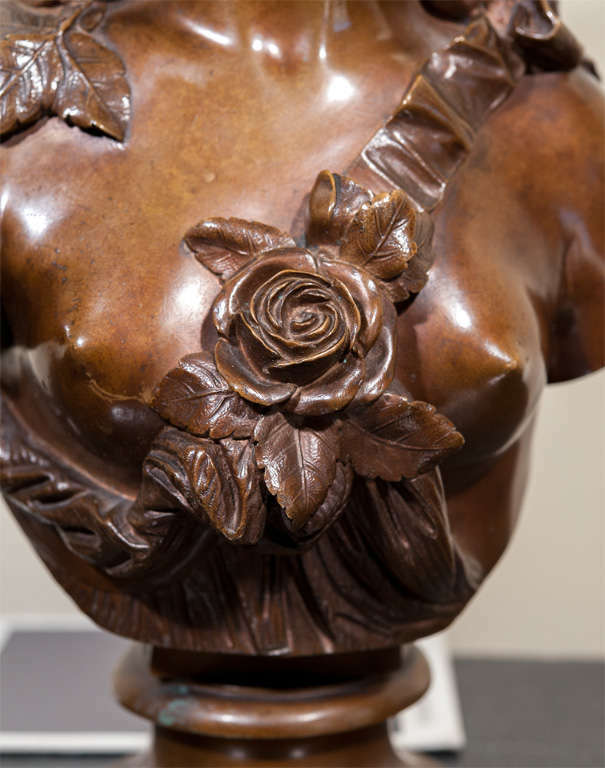 Bronze bust of woman with bonnet. Signed E. Laurent. French Romantic sculptor born 1832 died 1898. This can be seen at our 2420 Broadway location on the upper west side in Manhattan.